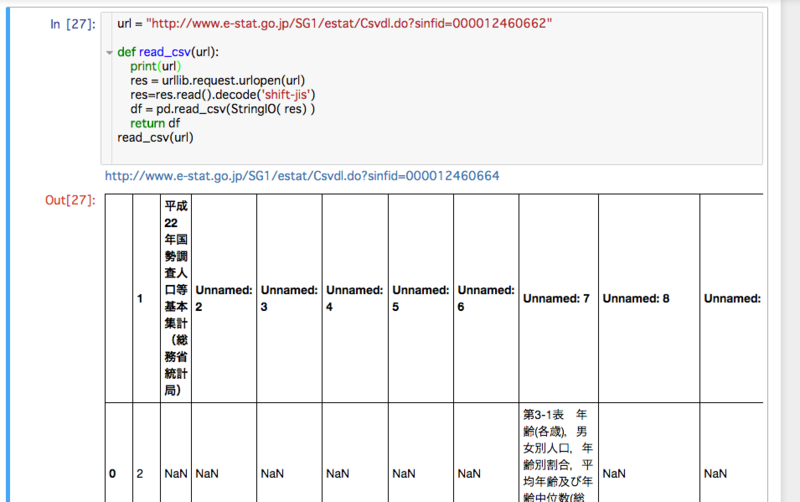 Trying to use the Japanese Goverment statistics through an api I found it is useless due to the format and datasets which are provided. 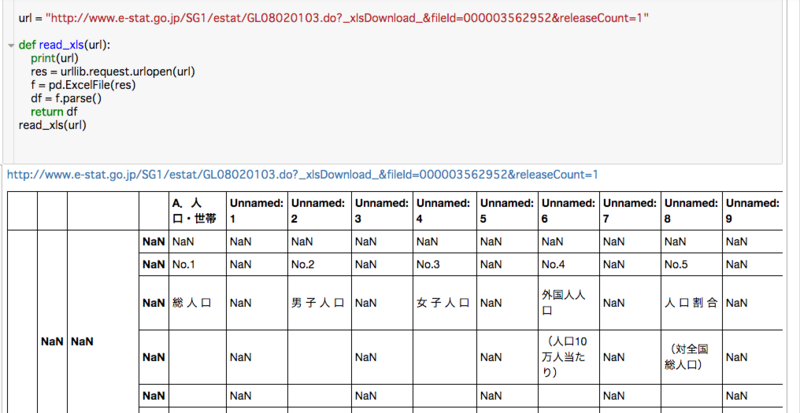 Instead I decided to read a csv and xls file directly from a website and load them on a pnadas dataframe. Below are the codes. Using the read_csv function below you will be abel to read a csv file on a pandas dataframe. I will get Population and Household data. Similarly to the read_csv function we can make read_xls function as below.